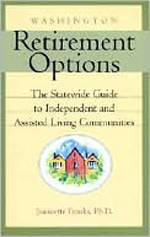 Gerontologist Jeannette Franks visited more than 200 retirement communities and assisted living centers across Washington to compile her guide Washington Retirement Options: The Statewide Guide to Independent and Assisted Living Communities (2001). 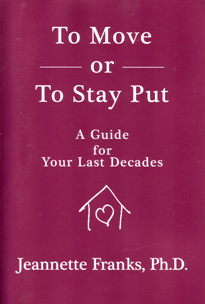 The book provides essential information for anyone looking for retirement housing for either themselves or a loved one. Franks, who teaches at UW, is also active in the local elder community. She has served on the Kitsap County Advisory Council on Aging, is a board member of the Bainbridge Health, Housing, and Human Services Council, a Hospice volunteer, and works with the Suquamish tribe.